According to the World Bank, about 1.1 billion people lack formal identification. This issue was raised at the recently held World Economic Forum in Davos, Switzerland, on January 25, where organizations from government to business called for greater multi-stakeholder cooperation on digital identity. The international community needs only to look to the United Arab Emirates for inspiration. At the World Economic Forum, a string of international organizations - including the World Bank, World Food Program, GSMA, Deutsche Bank, MasterCard, Microsoft, UNHCR and Visa - announced their intention to strengthen collective action on the agenda of digital identity. In fact, in an open call, they encouraged other organizations to join in an initial multi-stakeholder gathering in spring 2018 to address the matter. Digital identity and access systems can unlock a range of basic and empowering services for individuals, including financial inclusion, healthcare, and education, according to the World Bank. Equally, they hold significant promise for helping refugees and displaced populations to access immediate and longer-term services. But achieving progress will require significant shared challenges to be overcome, the participating organizations said at the Forum. In addition to coordination challenges such as interoperability, individuals and communities have voiced concerns about flaws and vulnerabilities in existing systems that need to be addressed. "Digital identities and access systems are foundational elements of our shared digital future. They offer tremendous opportunities for individuals and society especially for those without formal ID," said Derek O’Halloran, Head of World Economic Forum System Initiative on Shaping the Future of Digital Economy and Society, speaking at the event. Governments, international organizations, civil society and businesses will all play a critical role in creating this future, O’Halloran said. 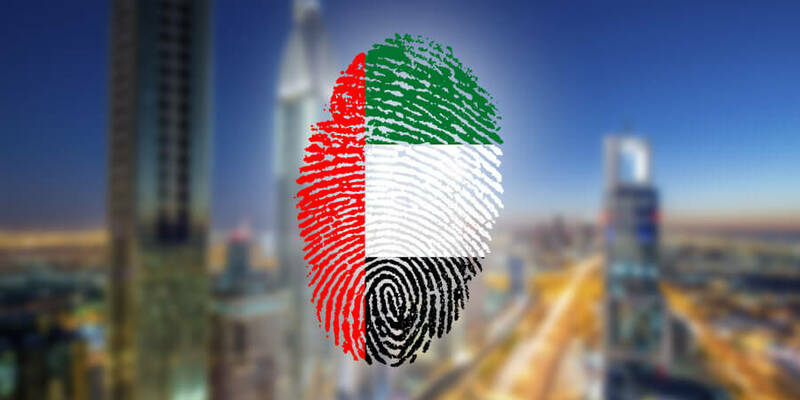 In the United Arab Emirates (UAE), the government is already playing a critical role in the development of digital identity for the country’s approximately 9.2 million people, of which 1.4 million are Emirati citizens and 7.8 million are expatriates. 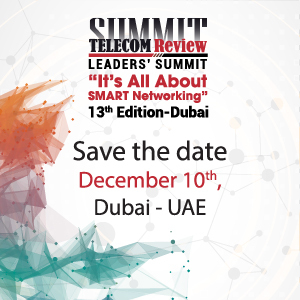 In October 2017, The UAE’s telecom regulator, the Telecommunications Regulatory Authority (TRA), signed a Memorandum of Understanding (MoU) with Smart Dubai, a city-wide initiative to transform Dubai into the world's smartest and happiest city, aiming to develop a unified digital identity in the UAE. Smart Dubai was also behind Dubai’s blockchain strategy - a plan for the city to go completely paper-free by 2021. The agreement between Smart Dubai and the TRA - inked at GITEX Technology Week in Dubai last year - aims to enhance the mutual cooperation between federal and local governments in line with the UAE’s strategy to launch and implement unified projects at the national level that contribute to achieving the goals of UAE Centennial 2071, UAE Vision 2021, and sustainable development. The two parties said the project will develop and integrate the ‘SmartPass’ service of the UAE Federal Government with the ‘Dubai ID’ service into a single system, allowing users to access federal and local government services, by logging in once, from any location, and processing transactions digitally. Smart Dubai’s Director-General, Dr. Aisha Bin Bishr, said the project aims to unify government work in a single system at the federal and local levels, and opens the horizons for an integrated and interconnected digital generation on the national level. It aims to provide "high-quality life for citizens, residents and visitors of the UAE," she said. The project is an "important milestone in the efforts of integration and interconnection between local and federal government entities, within a comprehensive national framework to ensure the provision of a unified government service channel for the customers," said TRA Director-General, Hamad Obaid Al Mansoori. The Government of Dubai also signed an agreement in 2017 with a UK-based start-up, ObjectTech, to develop digital passports for seamless entry at Dubai Airport, combining biometric verification and blockchain technology. The partnership between Dubai’s Immigration and Visa Department and ObjectTech aims to create the world’s first "gate-less border". The project will allow people to walk straight through to baggage collection without stopping at passport control. Biometric verification will happen as they walk through, allowing them to be registered into the country using a pre-approved and digitized passport. Dubai already has Smart Gates which use a system integrated with the Emirates Identity Authority, to enable Emirates ID card holders to pass through Dubai Airport seamlessly. The process was further simplified with a new application launched in October 2017 called Smart UAE Wallet. Citizens departing from Dubai International Airport can use their smartphones instead of passport at the Smart Gates to pass through electronic gates within 15 seconds, using travel machine readable barcodes generated in the app. The Wallet contains passport information, residence visa, Emirates ID documents, and more. This new technology has the potential to revolutionize digital identification and the process of passport control and border crossings. 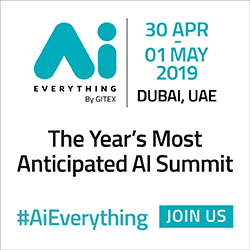 It aligns with the Dubai government’s 10x policy, which aims to make sure that all services are ten years ahead of the rest of the world. ObjectTech, the UK-based company that the Government of Dubai signed an agreement with, is reportedly working with the International Organization for Standardization (ISO) on the standardization of blockchain - a technology that could be crucial to the development of digital identity and other areas such as payments and logistics. At the international level, achieving digital identification for all will cost an estimated $12 billion, according to Kristalina Georgieva, chief executive officer of the World Bank and co-chair of the Identification for Development (ID4D) High-Level Advisory Council and Amina J. Mohammed, United Nations Deputy Secretary-General. "The World Bank will secure over $750 million investments in ID-related projects in the next three years and we will strive to mobilize more financing from other sources," they said at the World Economic Forum. "If we are to reach more than a billion people without proof of identity, we need everyone to work together, including countries, development partners, UN agencies, the private sector and civil society." To empower individuals, identity systems need to enhance security and convenience, preserve privacy and uphold individual rights and freedoms, the World Economic Forum maintains. Adoption of shared principles, standards and practices, alongside innovations in technologies and implementation frameworks, will be important to support these goals, it adds. Blockchain could be the answer, said Peggy Johnson, executive vice-president of Business Development at Microsoft. "We believe that technologies like blockchain can play a powerful role in creating a secure, portable, personal solution for those living without identity, but technology alone isn’t enough," Johnson said. "A challenge of this magnitude requires commitments and collaboration across sectors to develop the shared standards and principles required to deliver lasting impact," she added. With the use of digital technologies across the world at an all-time high, and with the adoption of the Internet of Things (IoT) expected to connect over 200 billion devices to the internet by 2020, the scope of identity management is fast expanding to devices and legal entities, as has been seen in the UAE. Further cementing its position in technological innovation, the UAE announced at the World Economic Forum plans to launch a Fourth Industrial Revolution center as an expansion of the first center set up in San Francisco, which aims to close the gap between emerging technology and policy. The Fourth Industrial Revolution centers - also being established in Japan and India - are poised to bring together business leaders, governments, start-ups, civil society, academia and international organizations to co-design and pilot new approaches to governance for emerging technologies such as artificial intelligence (AI) and blockchain.